Agricultural Development Greeley: What Is A CAFO? Whether you’ve been around for years or you’re brand new to the agriculture industry, chances are you’ve heard the term “CAFO” thrown around a time or two. But just what in the wide world of cows does that mean? Here at AGPROfessionals, we want to help provide local, driven farmers and ranchers with all of the tools they need to be successful. From agricultural development to consulting to education on terms like CAFO, we have the tools and resources necessary to help you grow and thrive in the ever-evolving world of ag. Keep reading to learn more about CAFOs and contact AGPROfessionals in Greeley today to find out how we can help you. 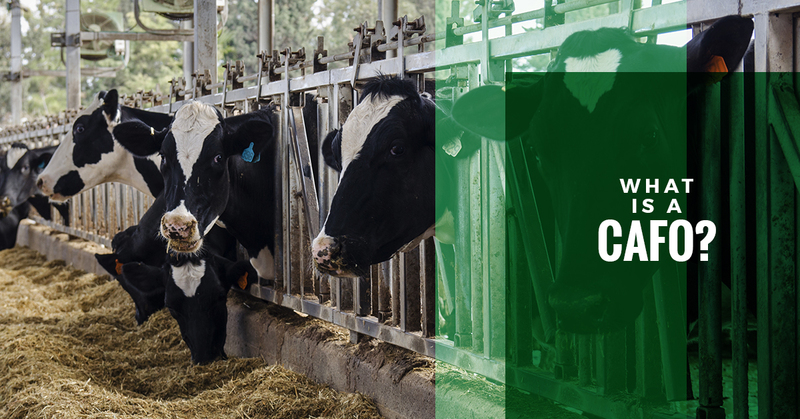 In the world of agriculture, a large livestock production is simply referred to as a CAFO, which stands for Concentrated (or Confined) Animal Feeding Operations. According to the many government agencies which help set the stakes in the world of agriculture, such as the USDA, a CAFO is defined as such if it “confines, stables, or feeds animals for 45 days or more in a 12-month period,and a ground cover of vegetation is not sustained over at least 50 percent of the confinement area.” Furthermore, it must “confine more than 1,000 animal units,” which isn’t as cut and dry as it sounds. In this definition, 1,000 animal units is equal to 2,500 swine (pigs); 700 dairy cows; or 1,000 beef steers. So more simply put, a CAFO is more commonly known as a feedlot or feedyard which houses a minimum of 700-1,000 head of cattle, depending on the type of livestock, and provides food other than ground vegetation. This includes things like grain and other digestible, high-energy foods in order to “fatten” up the cattle prior to slaughter. Many farmers and agricultural development professionals commonly seek out new lands and CAFOs available in order to create a sustainable business. Today, most cattle feedlots, or CAFOs, tend to be found in the west Texas region, Oklahoma, Kansas, Nebraska, and Colorado. With the help of these 800,000-plus CAFOs across the country, the cattle industry has become one of the most integral operations in the United States. According the the USDA, cattle production accounted for more than $78 billion in cash receipts during 2015, which accounted for around 21 percent of the total revenue from agricultural commodities for that year. Operating and maintaining a CAFO can be a stressful endeavor. That’s where agricultural development from the experts at AGPROfessionals comes in. Our team of agriculture consultants, real estate agents, and development professionals can help you find the land, plan your finances, and even help with other geotechnical services that you need to run a smooth operation. AGPROfessionals are the nation’s leading developers of agriculture, with offices located in both Colorado and Nevada in order to best serve our clients nationwide. We’re focused on solving problems clearing hurdles when it comes to the ag industry, which is why you should contact us for all of your agricultural development needs today!